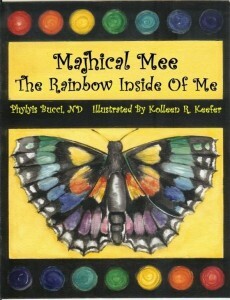 Majhical Mee is a children’s book written by Dr. Greco Bucci to empower and educate children and adults alike to the energy available within. Everything is energy. When we learn to direct this energy towards our highest good, we become aligned with the universal power of manifestation, enabling us to manifest our dreams and desires. Our thoughts and emotions are specific vibrations. Our body systems are their own frequency and vibration. The brain and the body are energetically connected through thoughts. All of the organs in the body need the universal life force in order to function. Without that spark of electrical energy in the body, we cease to exist. There are Eight Spiritual books in the complete Majhical Mee collection. Each covers a specific topic in healing yourself naturally: Reiki, Touch Healing, Feng Shui, etc. Each book contains text to teach the healing of self, others, and the environment, empowering us to bring harmony, peace, and positive thinking to all areas of our lives. Majhical Mee is a place of self discovery and learning. Learn to unlock the secret ancient wisdom of self, energy, and the world around and within us that has been ignored and secreted over the centuries. Once we empower ourselves to utilize and direct this energy in alignment with our intentions for our highest good, we become aligned with the universal power of manifestation! Our thoughts will become our reality. Look at your life and see if it is not a perfect manifestation of the thoughts you are thinking. You can think chaos and have chaos, or think peace and have peace….YOUR CHOICE!